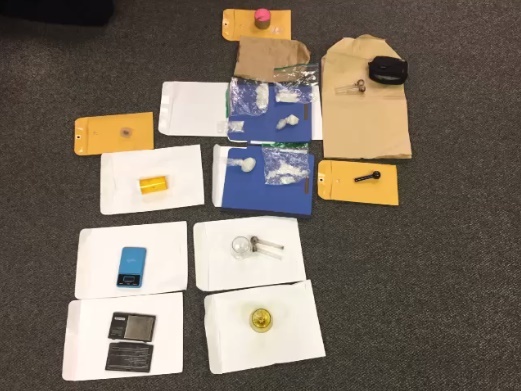 Benicia, Calif. - A Benicia man is being held at the Solano County Jail after being arrested on suspicion of possessing drugs with the intent to distribute. After an extensive investigation for narcotic sales, detectives from the Benicia Police Department served a search warrant today on the residence of 37-year-old Brandon Sanborn. During the search in the 600 block of East L Street, Sanborn was allegedly found to be in possession of about 4.5 ounces of suspected methamphetamine, more than 90 hydrocodone pills without a prescription, meth pipes and about five pounds of Marijuana. Sanborn was transported and booked into Solano County Jail for possession for sales, possession of Hydrocodone, Methamphetamine smoking pipes, and possession of Marijuana for sale.